Cypress Systems, Inc. takes its stewardship of the environment seriously. If you have old computer systems or other electronics sitting in the garage never to be used again, you’re not alone. Millions of tons of used electronics, including computer and televisions, are discarded each year. With an ample supply of newer, faster electronic products on the market, Americans continually replace older models. This trend shows no signs of slowing. As a result, electronics have become one of the fastest growing “waste streams” or portions of our trash. Unfortunately, not every e-waste recycler follows environmentally sound practices. To this end, we have partnered with ComputerCorps whose primary business is recycling and reusing e-waste. ComputerCorps has been recognized by the Environmental Protection Agency and has received multiple awards for its efforts. Electronics contain metals, plastic, and toxic chemicals (e-waste) that should be reclaimed and properly disposed of rather than be put into a landfill. The EPA regulations prohibit the land-filling of known hazardous materials. Businesses are liable for improperly disposing of e-waste. Recycling keeps your electronic waste, some of which contains hazardous material, out of landfills (or your garage) or business. Recycling your computer or TV is one of the things you can do to help reduce the demand for raw materials which will allow us to conserve our natural resources. Reuse creates 100 times more jobs per ton than land-filling electronics as trash, and recycling creates 10 times more jobs per ton. 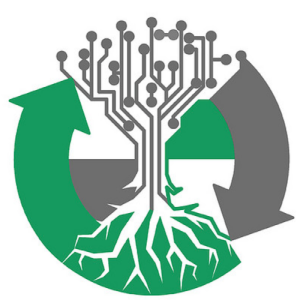 Many of the components in recycled systems may be reused again to provide computer systems for nonprofit organizations who have an urgent need for various technologies. What happens to the electronics that are recycled? ComputerCorps donates refurbished computer equipment to deserving individuals, organizations, and schools at little or no cost. ComputerCorps receives donations of computer equipment: CPUs, monitors, printers, fax machines, copiers, components and parts from individuals, businesses and community organizations. This donated equipment is then assessed and sorted by technicians for usability as a whole or for parts. Volunteer staff then disassemble, test, repair, upgrade and reassemble the equipment to create refurbished computers, printers, and monitors. Unusable parts are recycled or sold as scrap in order to reduce landfill waste. Non-usable or surplus items are auctioned or sold to generate revenue to purchase parts and pay the light bills. Any additional profits are used to sponsor “Every-Home-A-Classroom” TechCamps. This is an annual summer program for youths, aged 10-15 years. For the past 13 years, this 2-week program gives kids the opportunity to learn about computer recycling, testing, and assembly while building a computer system they can take home or give to a needy family at the end of camp. Our offices will accept e-waste donations/drop-offs Monday through Friday from 8:00 AM to 4:00 PM. Please call (775) 284-0392 for an appointment. ComputerCorps – donates refurbished computer equipment to deserving individuals, organizations, and schools at little or no cost. Co-Op America – Contains facts, solutions, tips, and tricks about going green. Green Magazine – A wonderful online magazine for people who are going green. Live Green – This website will help you go green affordably and easily. Carbon Footprint – This website offers a calculator that can help you calculate your carbon footprint. Environmental Protection Agency – The United States of America’s environmental awareness agency. The City of Reno Recycling – Reno Nevada’s environmental awareness program. Washoe Nevada Recycling – Washoe Nevada’s environmental awareness program.